What is IgnitionOne Customer Intelligence Platform? IgnitionOne Customer Intelligence enables marketers to identify, value, and engage their customers at scale. 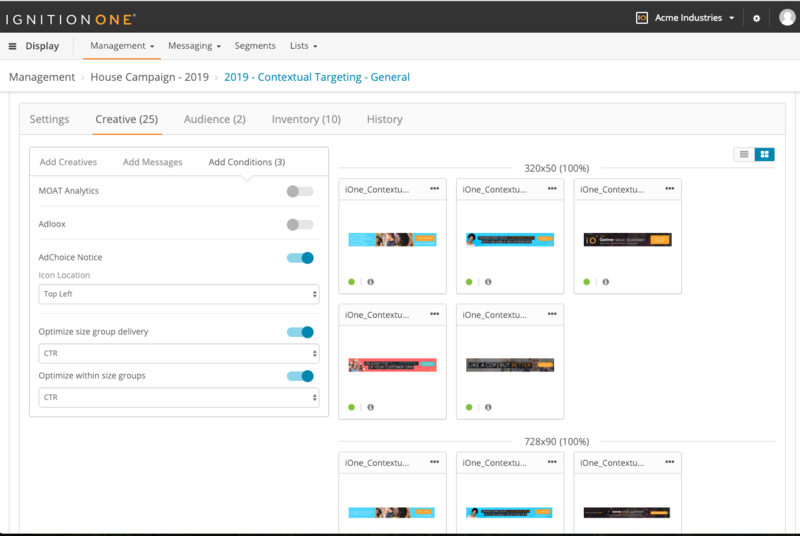 IgnitionOne Customer Intelligence provides a single platform to leverage customer data from a range of systems to power effective omnichannel targeting and personalization. IgnitionOne Customer Intelligence accumulates data from systems such as the marketer’s website, CRM, point-of-sale, mobile devices, and more -- in real-time -- to enable a true understanding of each individual customer’s real-time interests. IgnitionOne combines these robust, up-to-the-minute customer profiles with advanced machine-learning capabilities to target and engage customers with coordinated, relevant, contextually-aware messaging through online advertising such search, display, social, and metasearch; on your brand’s website; and through digital out-of-home advertising and advanced television. IgnitionOne provides Customer Intelligence for hundreds of leading brands in the travel & hospitality, retail and auto manufacturing sectors -- including leading brands such as Wyndham Worldwide, General Motors, Lowe’s, and many more. Get enhanced identity resolution that recognizes and engages individual customers across channels including display, search, social, metasearch, and your own website.